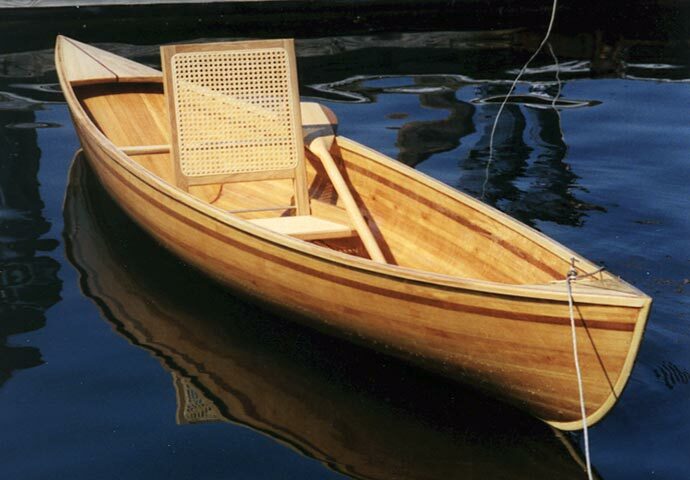 Stephan Bradley writes that his Rob Roy 13' cedar-strip canoe was inspired by Nick Schade's book, "The Strip-Built Sea Kayak," and a design by Ted Moores and Steve Killing at Bear Mountain Boats, www.bearmountainboats.com. He adds that he built this canoe at Bradley Boatworks, www.bradleyboatworks.com, over the winter of 2001-2002 and launched in Wickford, RI. The hull is Alaskan yellow cedar, accented with mahogany, and finshed with ash decks and gunwales. It all went together with WEST System epoxy. Stephan plans to spend the summer paddling New England rivers and lakes.